Beautiful on the outside, despite the busy traffic that surrounds it and you can take tours to see how amazing it is on the inside! Sometimes access to the actual auditorium is excluded from the tours so ask before buying your ticket. The district around the Opera has some of the most exclusive shops. 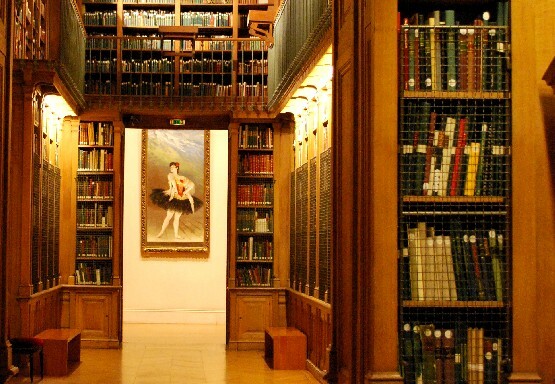 This is an extract from our free Paris City Guide. If you’ve ever seen the musical “Phantom of the Opera” you’ll probably feel that you know this historic building already. Andrew Lloyd Webber’s show and subsequent film were based on the opera house. 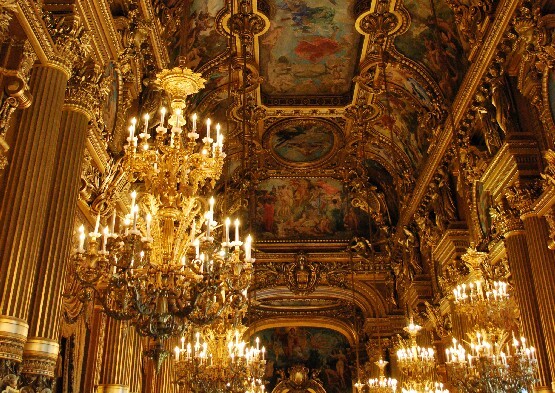 The official name of the building is the Palais Garnier, and inside it truly looks like a palace with incredibly ornate features. We were simply stunned at how beautiful it was. 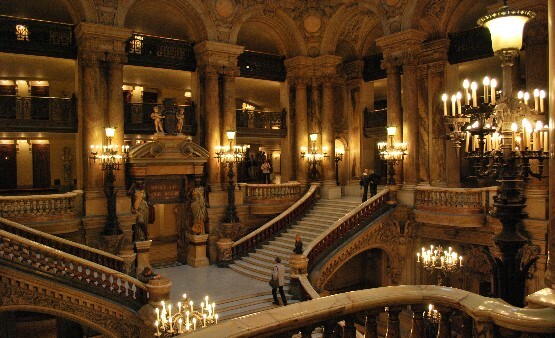 The Opera de Paris Garnier is open daily from 10am to 5pm. Adult admission is 9 Euros with concessions available for students, Children under 10 are free (2012 prices). The Paris Hop-on, Hop-off Bus Tour stops at the Paris Opera.